Five years after its concept reveal, we'll finally get to see the "shooting brake" variant of the Porsche Panamera. You’d be forgiven for forgetting all about the Porsche Panamera Sport Turismo Concept, which made its debut five years ago in Paris in response to the Panamera’s polarizing styling. Since its reveal, Porsche has remained largely silent since the Sport Turismo Concept, causing many to wonder when we would see the production version of the Panamera’s next body style. According to an interview with Car Magazine, the answer is the 2017 Geneva Motor Show. Speaking to Car Magazine, Dr. Stefan Utsch, director of sales and marketing for the Panamera, confirmed that a five-door “shooting brake” version will be revealed at the 2017 Geneva Motor Show, with sales set to start later in the year. Porsche didn’t drop a name for this new variant, so for now we’re going to stick with calling it the Sport Turismo. From the sounds of it, the production Sport Turismo will take its design cues from the stunning concept model shown off at Paris in 2012, with a different tailgate and a raised roofline. In other words, it won’t be hideous. Last year, Porsche revealed that a “shooting brake” variant of the Panamera was a logical step to compete with the Ferrari GTC4 Lusso. “It will have a very sharp design,” a Porsche representative said at the time. “I think we will offer the first bodystyle in this segment, with even higher usability.” While the concept was a hybrid, the production Sport Turismo is expected to share the powertrain of the current Panamera sedan, although hybrid or electric variants may follow in the future. 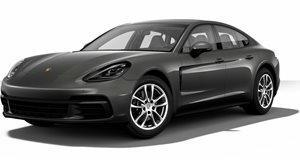 The Panamera has been a global sales success, particularly in the US and China, so the Sport Turismo will target a European audience since the long-roof body style tends to be popular in this market. For now, there isn’t any indication if the Sport Turismo will be heading to the US, but we will hopefully have an answer at Geneva in March.